If other industries were like Wall Street – "If you surrender to the wind, you can ride it." Finance is a strange industry. The way we think about fees, the way it’s discussed in the media, how laypeople use it, and the way it’s taught in school is like no other field. Maybe the best way to get this across is to imagine — hypothetically and absurdly — if other industries got away with stuff Wall Street does. Robert gets an F on a test but says he actually got an A if you strip out one-time bad answers on a pro forma, pre-mistake basis. His teachers buy it. Sam plants some seeds in his backyard. He checks back four hours later. Nothing. He digs them up and replants them. Four hours. Still nothing. A week later he is dismayed that he has no oak trees in his backyard. He calls oak trees a scam. Joe and Ronald each own a cow. Instead of milking the cows and selling dairy, they use each other’s cow as collateral for a structured note sold to an Icelandic pension fund, use the funds to buy credit default swaps on their neighbor’s farm, start a rumor that causes a run on its assets and sends the farm into bankruptcy, collect the payout, funnel the proceeds through a Luxembourg shell company, and sell hypothetical milk futures to a widow in Arizona. The cows just stand in a field and moo. Joe and Ronald make $34.9 million a year. Ryan wakes up in the morning and checks his blood pressure. He checks it again before breakfast, during breakfast, after breakfast, and before leaving for work. When he gets to work he checks his cholesterol, again before lunch, and twice before bedtime. During one of the four times he weighs himself during the day the notices he lost a quarter of a pound. He calls his doctor to find out what the hell is going on. Jim recited the “hip bone’s connected to the leg bone” song. That qualifies him to be a neurosurgeon and your life is now in his hands. Roger takes a Capri Sun, leaves it outside for a few hours and calls it Chateau Mouton Rothschild 1945. It takes a decade for wine experts to figure out what’s going on. They’re still arguing about notes and finish. Betty has a cell phone. She has no idea what it costs, since the fees are deducted automatically from her bank without her receiving a bill. She never even sees the money leave the bank – it’s quietly siphoned off every quarter. She learns her cell phone costs 1% of her annual assets. Quick math shows she’s paying $20,000 a year for a cell phone that only works some of the time. She had no idea, and the cell phone company prefers it that way. Sally owns a bakery. One year she sells 1,052 muffins. The next year she sells 1,051 muffins. 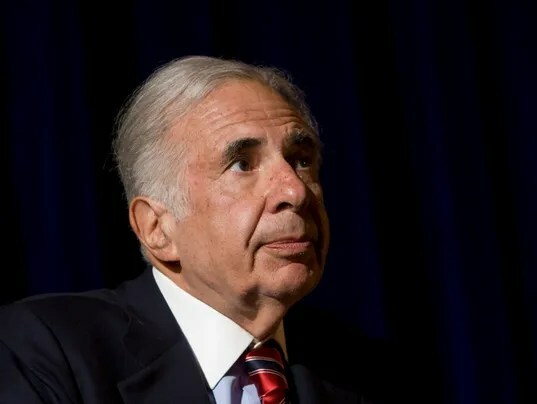 Carl Icahn stands in front of her store yelling profanities and calling her incompetent. A doctor goes on TV talking about the benefits of a new cancer drug. He doesn’t mention that unless you have cancer his advice is irrelevant to you. Unaware, half of viewers start using the new cancer drug despite not having cancer. A Zillow.com programmer gets in a bad mood and adjusts the site’s algorithm so every home in America looks 10% less valuable than it was the day before. He’s fired, and a new programmer adjusts the algorithm again so homes go back to the old prices. The volatility sends America into a collective meltdown. The evening news brings on a series of experts who call owning a home a scam, a gamble, and a fraud. Ten percent of homeowners sell their homes the next day. “It doesn’t matter if I loved my home, could afford my mortgage, and planned on living here for 20 years,” one says, “this just seems too risky.” He moves into a tent. Brad assaults a guy. The whole thing is caught on tape. There’s no question about what he did. Anyone else would go to jail. But Brad is allowed to settle without admitting or denying wrongdoing. For a penalty, Brad’s children are forced to pay a $25 billion fine. Brad gets a bonus. It’s cold in Minneapolis. Damn [party you didn’t vote for].